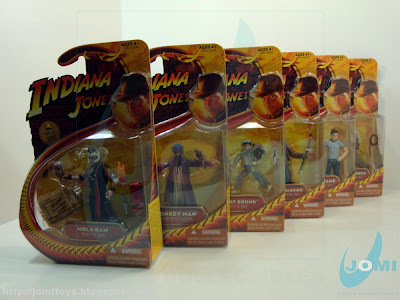 As seen before, all of these come with great detail, and in some cases, notorious resemblance to the actors. 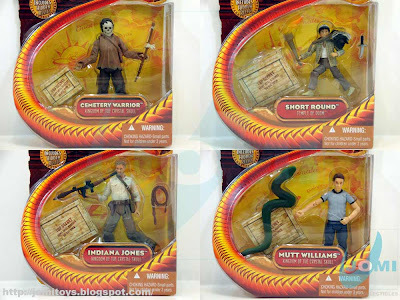 While "Mutt Williams" is not one of the cases, "Short Round" definitely is. The "Cemetery Warrior" is a great figure too. 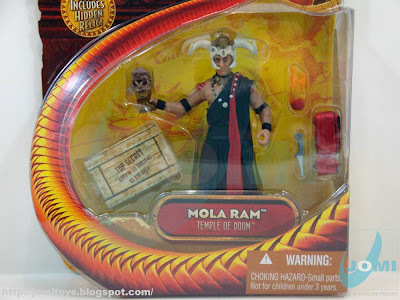 "Mola Ram". One of the most scariest guys in the franchise! Firing heart included... and a greatly sculpted skull on his head and... on his hand. 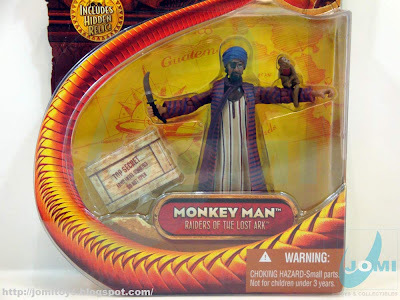 "Monkey Man". A common villain outfit during the late 70s and 80s. Eye patch, wicked beard. And including the famous monkey.